Attention Lollar Tone-heads… our friends at Kortmann Guitars have come up with some beautiful new bridges, designed with Lollar pickups in mind! Jason has checked them out personally, and gives them a resounding thumbs up. Good Stuff! You can check out these and other great products here. And please, tell them Jason and Stephanie sent you. 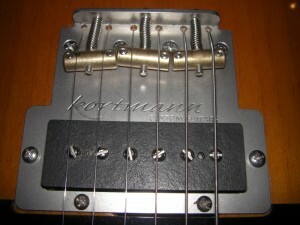 This entry was posted in Humbuckers, Imperials, Miscellaneous, New Products, P90, Telecaster by admin. Bookmark the permalink.